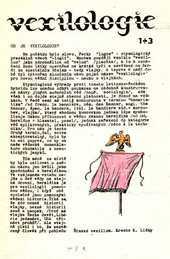 Josef Česák is called the father of the Czech vexillology because of his merits for its development. 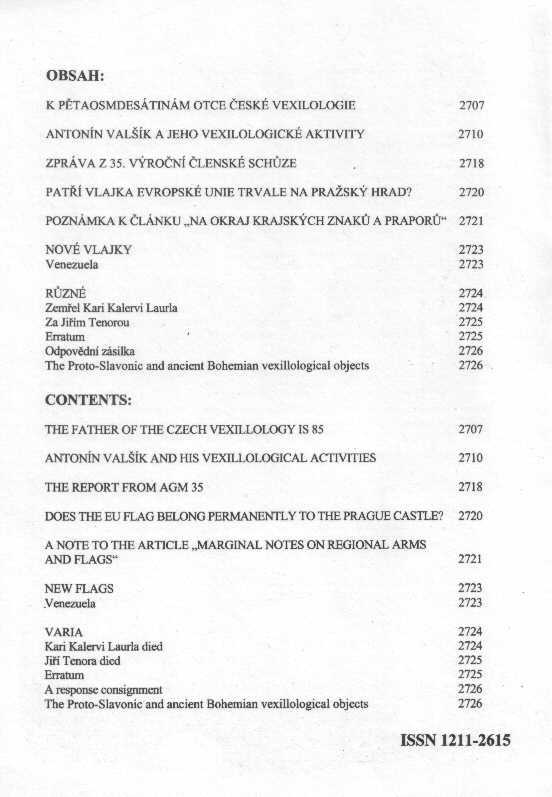 As he was 85 this June, the author has mentioned meetings and cooperation and has compiled the bibliography of flag articles written by J. Česák. In addition to its author, Jaroslav Kursa, a Navy officer Antonín Valšík (1874-1948) is another person connected with the history of the Czechoslovak flag. He initiated and supported an insertion of a blue triangle extending to one third of the flag’s length between Czech national colours at the hoist. After finishing his secondary school studies in Eastern Bohemia he graduated at the Czech Technical University in Prague in 1898 He became a Navy officer and visited China in 1899-1901 within a naval military expedition against the Boxers´ uprising. Being impressed by Chinese triangular banners, Valšík preferred an addition of a blue triangle when the Czechoslovak national flag conception had been discussed between 1919-1920. Between 1911-1918 he served as a technician at the naval command in Trieste and he later became director of the arsenal workshops in Pula. After proclamation of the Czechoslovak Republic he was called to the National Defence Ministry as a head of the Naval department. 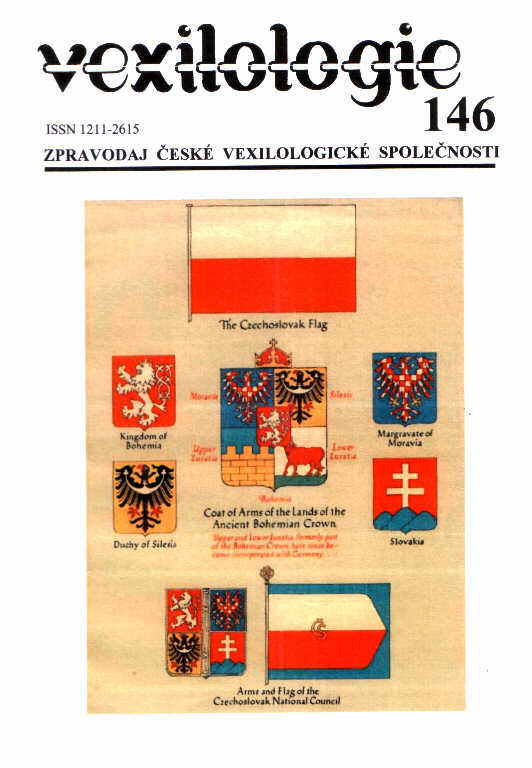 The department presented 12 proposals for the Czechoslovak merchant marine flag; he personally designed ten special flags elaborated by the Naval department on 6 August 1919. J. Kursa rendered those designs. Fig. 1 shows civil and war ensign identical with the National flag, Fig. 2 - jack, Fig. 3 – pennant or streamer, Fig. 4 – port of registration flag, Fig. 5 – police service flag, Fig. 6 – customs service flag, Fig. 7 – postal service flag, Fig. 8 – pilot jack, Fig. 9 – International Red Cross flag, Fig. 10 – quarantine flag. However, an idea to introduce those flags immediately was postponed by the Interior Ministry after adoption of the Czechoslovak state symbols. 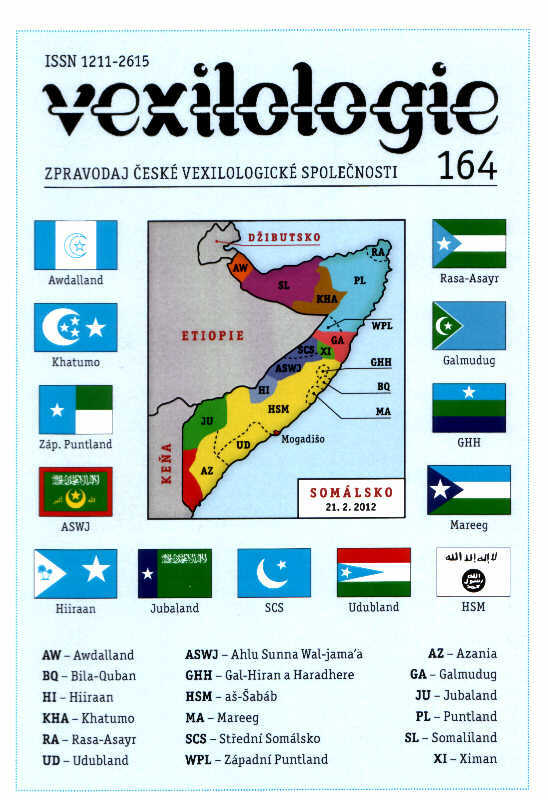 In the meantime, Valšík himself actively pushed a triangle containing design of the National flag in the Parliament even when forced to prolong its high to one half of the total flag length. He was also mentioned when a description of the Presidential flag had been discussed in the relevant Parliamentary committee. On 30 November 1921, Antonín Valšík was released from the military service in rank of the enginery colonel and then engaged in the civil engineers and architects associations. 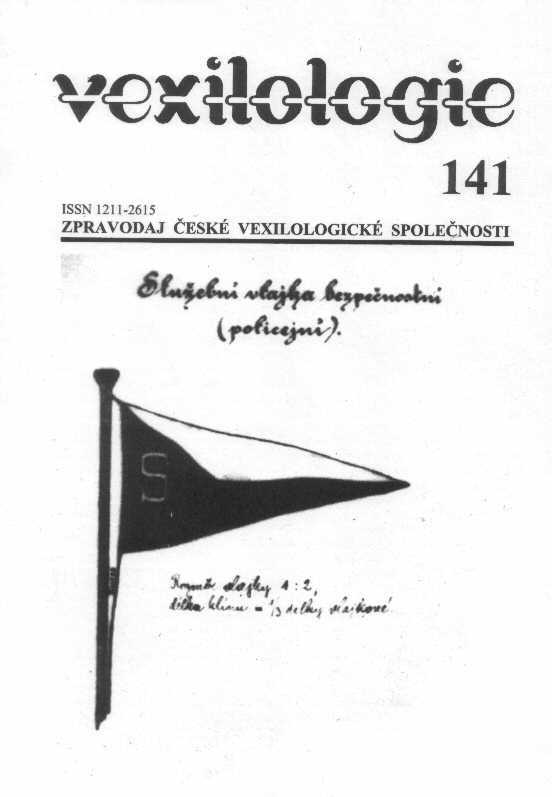 The first part of the most prominent study on the origins of vexillology in Czechia by Jiří Januš has been published on the occasion of the 85th birthday of Josef Česák – the Father of Czech vexillology. The next three parts follow in VEXILOKONTAKT 2008, 2010, and 2012 to complete this treatise, the most detailed one ever published in our country. 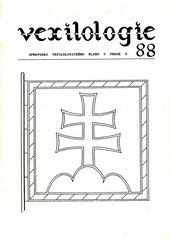 On 36 pages, research on inception of Slavonic vexilloids and their significance and form is presented.